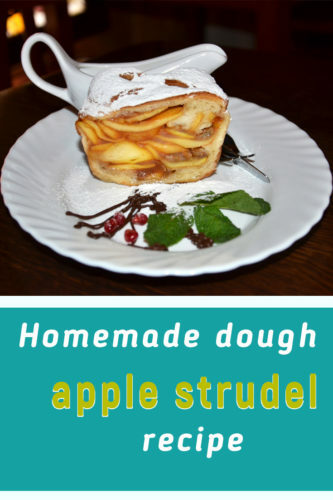 Apple strudel recipe – recipe with homemade dough for perfect apple strudel. Cook and fun! Add the chopped into a small pieces butter into a flour, mix. Add the other ingredients and knead the dough until smooth. Shape the dough into a small ball and let it rest under the towel about 1 hour. Mix bread crumbs with 1/3 cup of melted butter. 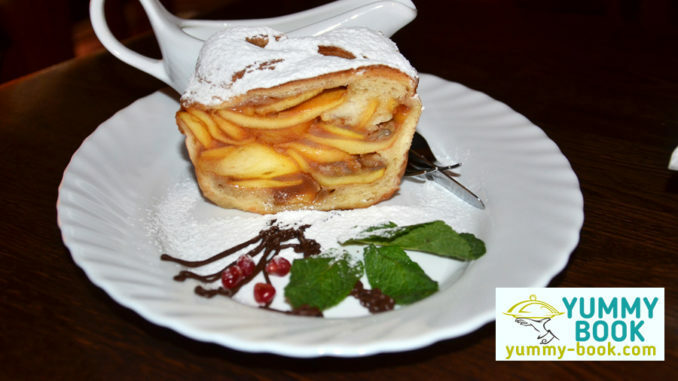 Mix apples, walnuts, rum, cinnamon, lemon rind, sugar and vanilla sugar. Heat the oven to 356 ° F (180 ° C). Knead the dough again and roll it out on a lightly floured surface until very thin. 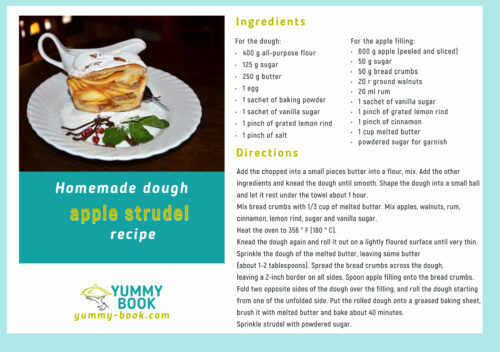 Sprinkle the dough of the melted butter, leaving some butter (about 1-2 tablespoons). Spread the bread crumbs across the dough, leaving a 2-inch border on all sides. Spoon apple filling onto the bread crumbs. Fold two opposite sides of the dough over the filling, and roll the dough starting from one of the unfolded side. Put the rolled dough onto a greased baking sheet, brush it with melted butter and bake about 40 minutes. Sprinkle strudel with powdered sugar. Berries puff pastry recipe – easy recipe of delicious puffs with fresh or frozen berries. You can use fresh or frozen currants, blueberries, raspberries or other berries of your choice. 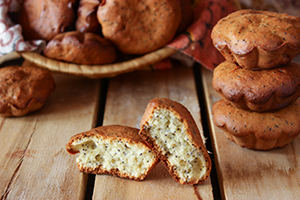 Poppy seed muffins recipe – these tender muffins are made with cottage cheese and honey. Start the day with our tasty poppy seed muffins! 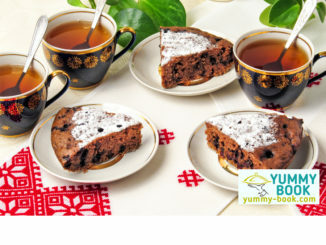 Blueberry vanilla pie recipe for MultiCooker or oven. Easy recipe for tasty pie with fresh or frozen blueberry with vanilla sugar. No eggs! Cherry iced green tea recipe: this fruity tea is a fantastic beverage for hot days. Chicken and potato stew recipe for Multi Cooker. Tender chicken fillet and potato stewed with milk – perfect dish for hearty dinner. 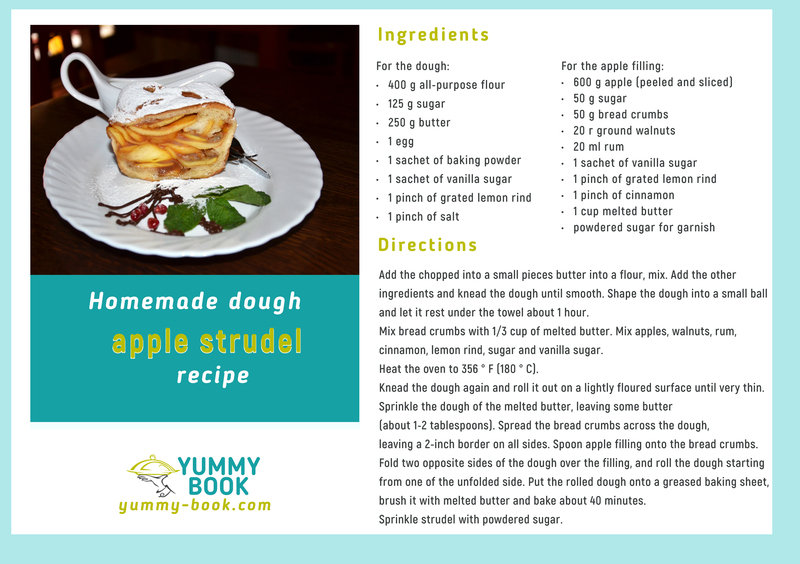 Copyright ©YUMMY-BOOK.COM All rights reserved.